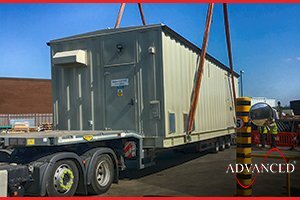 A special build Perkins 65 kVA Telecoms Diesel Generator is being dispatched to a telephone exchange near Fairford. 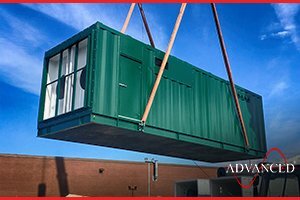 This ADVANCED designed & built Bespoke Switchgear Housing is on its way trackside near Hednesford for Network Rail. 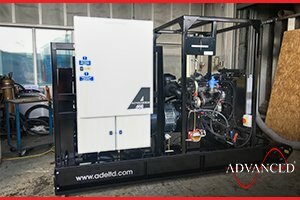 This ADVANCED designed & built Acoustic Enclosure is being loaded ready for dispatch to the client's works for fit out of the gas generator and control equipment. 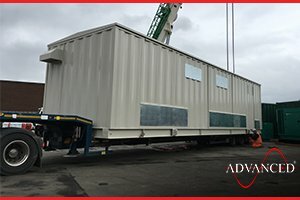 The first of many repeat Bespoke Switchgear Housings for Northern Power Grid leaves the works after vigorous testing of the enclosure and HV Switchgear. 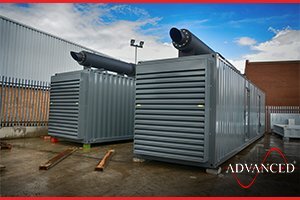 Two more Bespoke Acoustic Enclosures designed & built by ADVANCED, containing Cummins 3000 kVA Diesel Generators & Switchgear are loaded for dispatch. 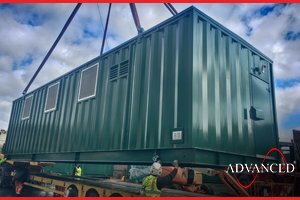 This bespoke ADVANCED designed & built Modular Switchgear Enclosure is being despatched trackside to a Network Rail site near Bescot in the UK. 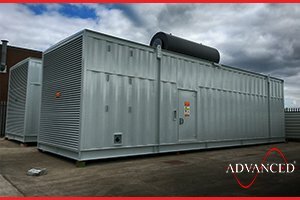 Two Bespoke Acoustic Enclosures were designed and built by ADVANCED for 2 free issue 1500 kVA Diesel Generators. The units are on their way to be installed at a UK NHS hospital trust. 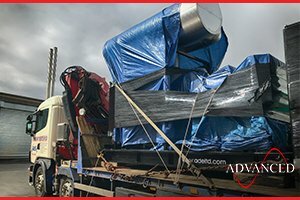 Another special build 450 kVA Telecoms Generator is on its way to be installed at a telephone exchange in South Shields.